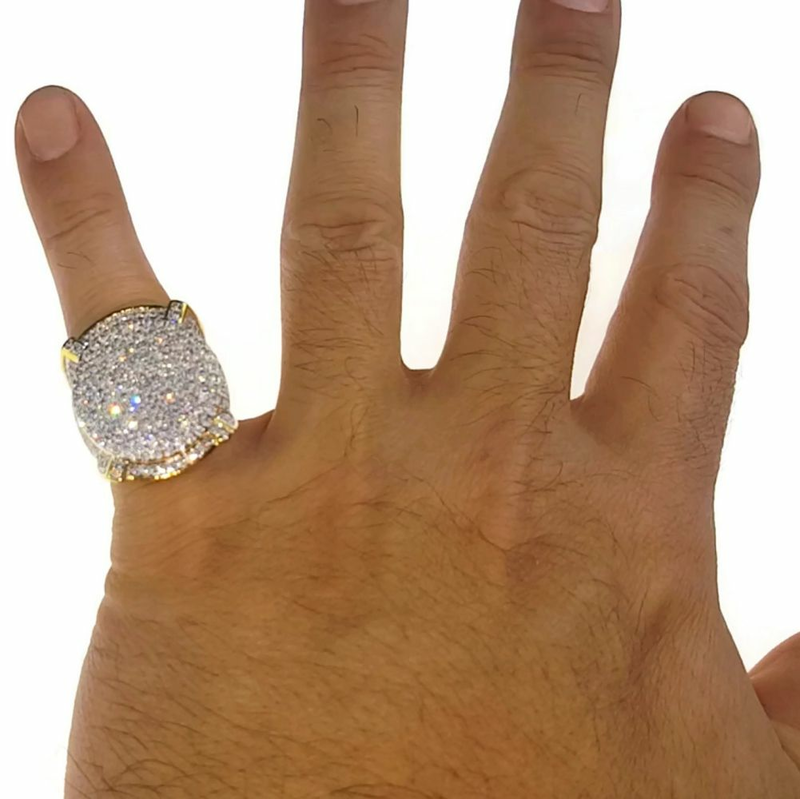 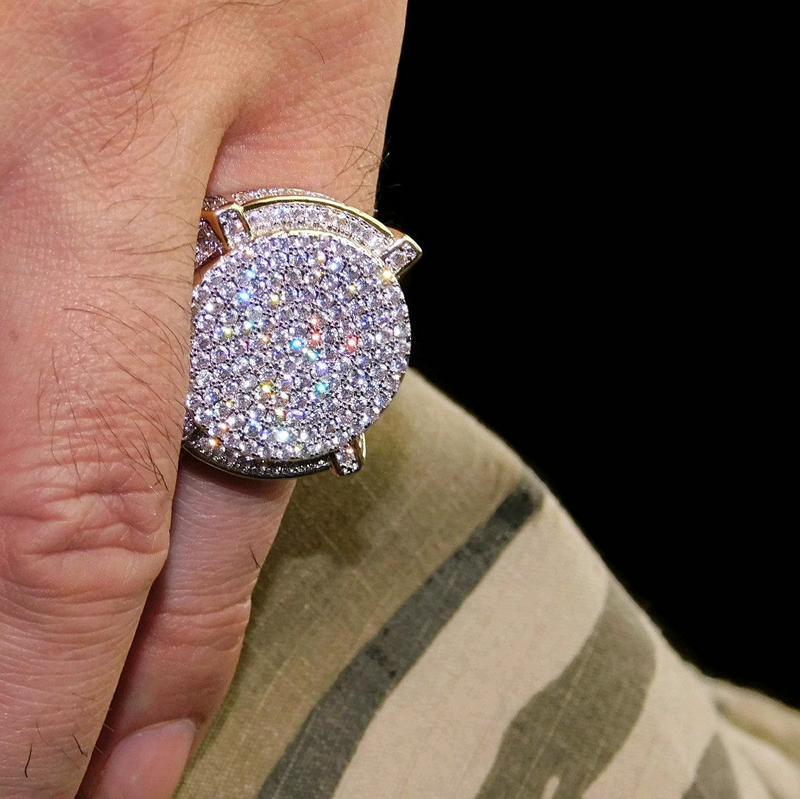 Huge size men's oversized Round iced-out micro pave hip hop ring. 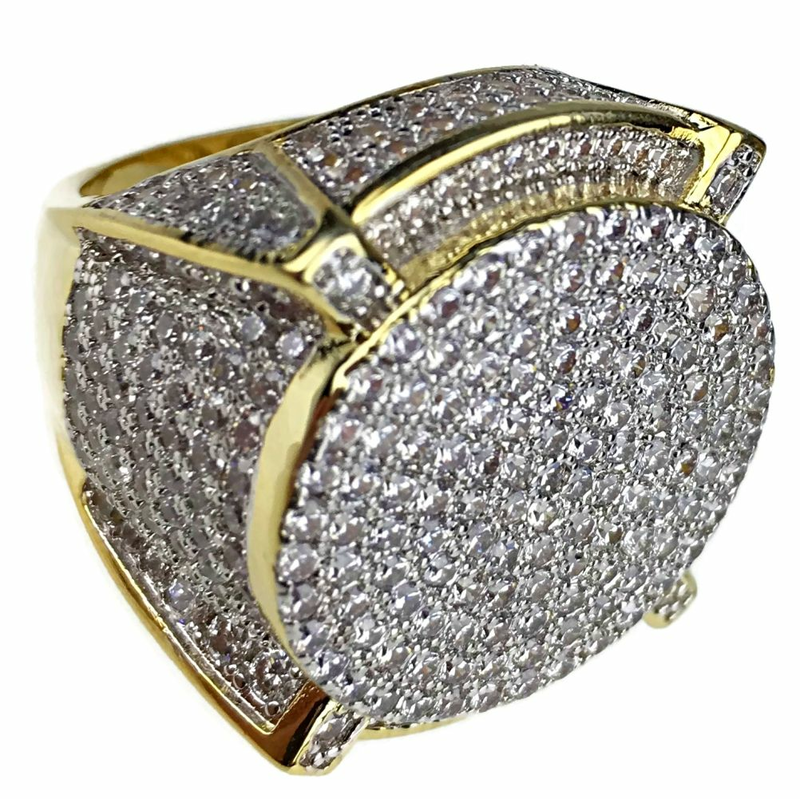 Encrusted with a multitude of CZ stones. Large round circle 22MM, 5mm wide in the back of the band. 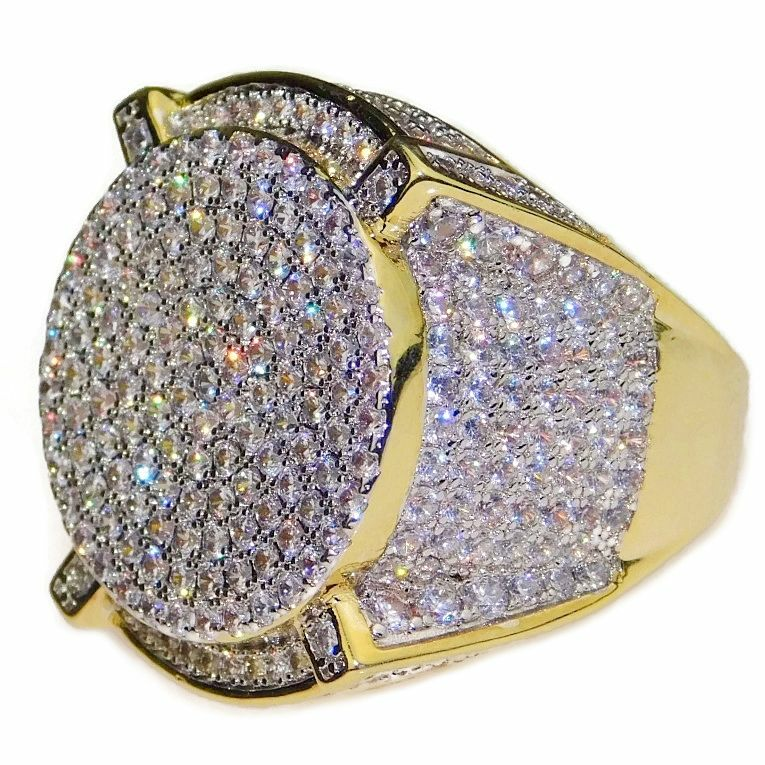 Express your bold attitude with this big star hip hop ring that will turn heads.